This is quintessential New Zealand Holiday accommodation. Golden Bay's West Coast is a unique, remote, incredibly impressive part of New Zealand. Te Hapu offers a diverse, easily accessed private coastline of sweeping sandy beaches, cosy coves and a luxuriant low tide rock shelf, with a backdrop of limestone outcrops, bluffs and the verdant pastures of a working farm. Great walks, (route descriptions and photo map provided), swimming, surfing, boogie boarding, fishing and sea food gathering. Te Hapu affects many people profoundly, including us who have lived here since 1980! Extras: Cleaning (included); Linen Additional charge NZ$17.00 per person; Surcharge for one night only bookings additional NZ$50.00. Comfortable, clean, fully equipped, homely cottage. This truly is a special place in an extraordinary environment for those who want to experience NZ off-the-beaten track. The cottage overlooks some of the most pristine nature on the west coast, with wild bush land, hills and wonderful untouched beaches. While sitting on the sun-soaked terrace watching time go by you will feel a million miles away from home -- which indeed you are! We had a wonderful relaxing time staying in the cottage surrounded by the amazing dramatic limestone landscape and with sea views. We thoroughly enjoyed exploring the farm walks, caves and beaches and swimming in the lagoon. The track guide notes in the cottage provided clear directions for finding our way around the farm via well marked walking tracks. Zander, Andrea, Ken and Sandra were the perfect hosts even providing a pair of hiking boots to use when mine disintegrated!!!! We definitely plan to return to explore the areas we did not have time to visit. 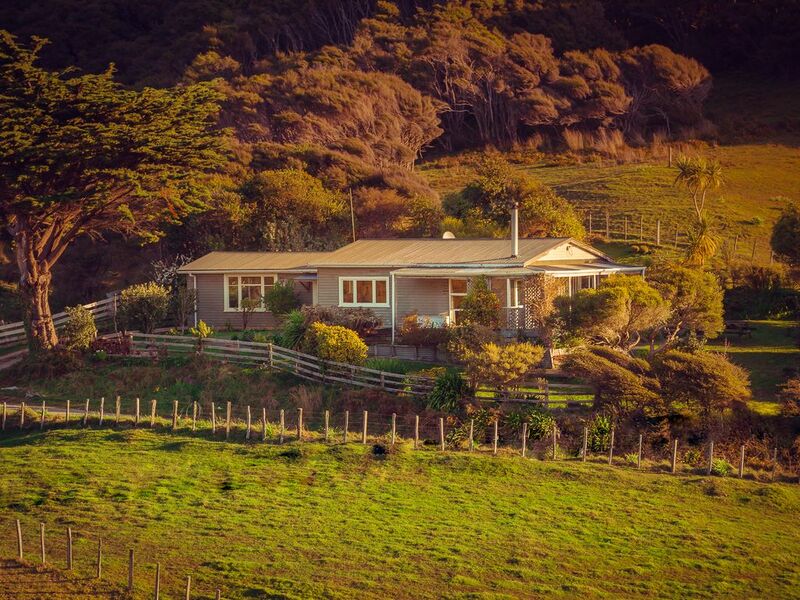 We cannot recommend The Te Hapu cottages more highly if you want to get right away from it all and enjoy exploring new terrain !!! Fantastic place - very comfortable, everything we needed and great walks and coastline. Very relaxing! The Cottage met all the needs for 3 people, and was extremely comfortable and cozy with the log fire; our choice for future visits ... although the Chalet is also magical. But - having tried all 3 accommodations, we can say that we've enjoyed them all!. Our favourite. A fabulous setting. Words cannot even start to explain the amazing uniqueness and beauty of this property, absolutely stunning.